In a dingy boardroom a criminal syndicate discusses current exploits and future endeavors under the beaming fluorescent light. One suited member sits quietly, not contributing to later be revealed as an imposter, one that is in turn, disposed of brutally and swiftly with a fiery inferno turning everything in the vicinity to ash. The Black Orchid hiding behind the mask of a familiar to the crime ring doesn’t live to see the day where these people are brought down and justice is served. Meanwhile in a greenhouse garden far away a purple plant is budding. As its pedals spread a beautiful shape forms and bursts forth unto the world, perfect and pure. Surrounded by others of the same process, echoes of memory present themselves in short clips. A distant heat as flames lick higher and the name “Susan” demand some attention but have no real meaning, the secrets of their origin beckoning urgently. The crime fighter known as the Black Orchid has been murdered and a kin to the now slaughtered hero is searching for answers, seeking to unravel the mystery that surrounds her own existence and the untimely execution of her ilk. Deep in the labyrinth of questions many familiar faces to the DC universe appear to guide the newly born woman along her travels. The new orchid finds herself in the hell of Arkham having to speak with its residents, on the streets of Gotham getting directions from its protector and eventually down in the thick of the Green to speak with a scientist who may have her true origin locked in his memories. Meanwhile former lovers and sociopathic billionaires with a boiling hate for caped crime fighters (specifically ones wearing red and blue tights) and their kind are hot on her trail to put an end to any and all of her goals. In this three-issue Mini-series from fantasy world builder, Neil Gaiman (Sandman, American Gods, Coraline, Neverwhere) and unique visual creator, Dave Mckean (Sandman, Arkham Asylum, Mirrormask) bring to life a brand new interpretation of the classic DC hero the Black Orchid. Beginning the series with the removal of the original presentation of the character and the subsequent literal rebirth, we are guided along a very dark and interesting journey in an attempt to unlock the truth surrounding the new edition to the DC mythos. 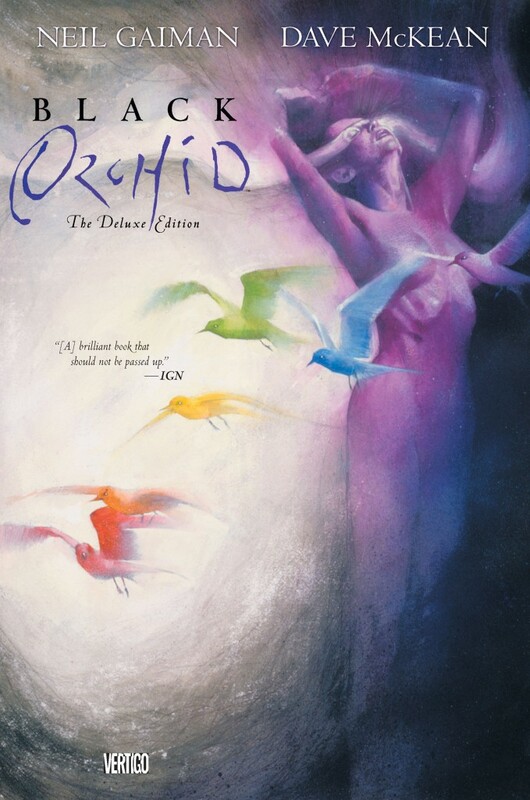 With engrossing narrative, written by the endlessly astounding Gaiman, a universe envelops you with riddles insanely intriguing and illustrations so gorgeous, Black Orchid find itself amongst one of the best minis of the late eighties British invasion, paving the way for the creation of Vertigo Comics. Much like the Grant Morrison Animal Man, Alan Moore Swamp Thing, Peter Milligan Shade the Changing Man and of course Sandman (also by Gaiman with contributions by Mckean) Black Orchid was an attempt to revitalize older characters from the pages of DC history and modernize the otherwise outdated and stale concepts. This of course was accomplished with great success that has had lasting effects on the current organism that is the DCU and grittier more cerebral storytelling in the comic medium. 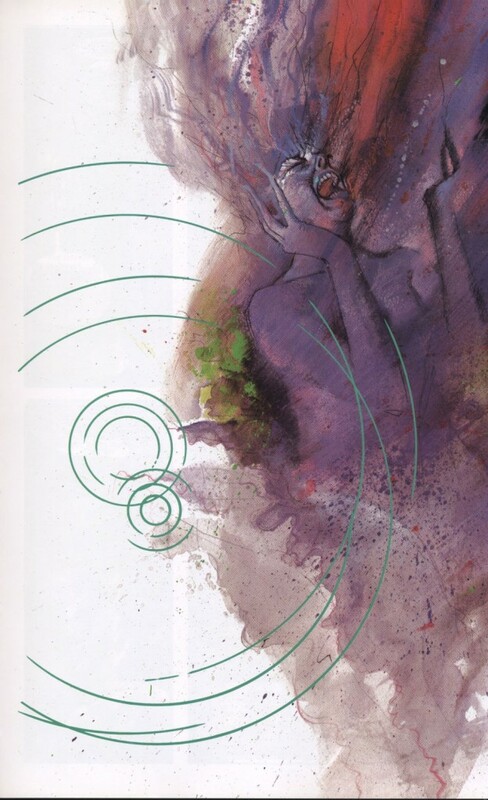 Black Orchid has recently been re-released in a hardcover deluxe format from Vertigo Comics that has lots of extra material in the back including editor’s notes from Karen Berger, and original pitch to DC by Gaiman and sketches and preliminary drawings during the creation process. The story is fascinating with an excellent cast of characters drawn eerily (in the most fitting way for the series) and a satisfactory conclusion leaving all questions answered and all secrets revealed. 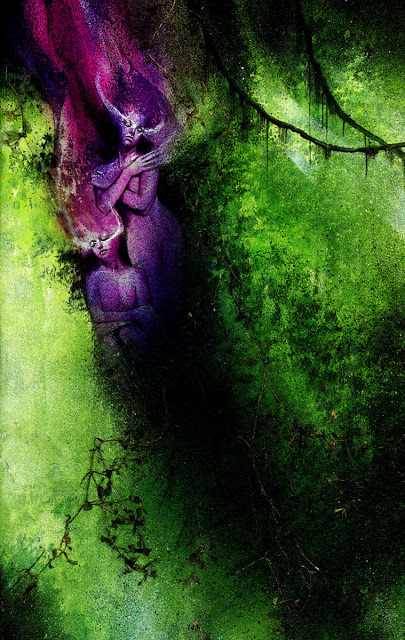 The collection holds an incredibly high recommendation from me and will surely appeal to any who enjoy Gaiman’s work on Sandman and Moore’s Swamp Thing run specifically. That being said, Black Orchid also holds immense appeal to any reader who looks for something different and challenging. What begins with the end of a legacy concludes with rebirth and an incredible tale of hope as two unbelievable purple beauties soar hand in hand, upwards towards the sun.